We offer transient overnight dockage from May 15 thru October. We also offer temporary dockage (1-3 hrs) only as space permits. Call our Dock Master Eddy 413-537-6170 at for info. Oak Bluffs Harbor is located about three miles across Marthas Vineyard from Vineyard Haven and offers a well protected area to relax. 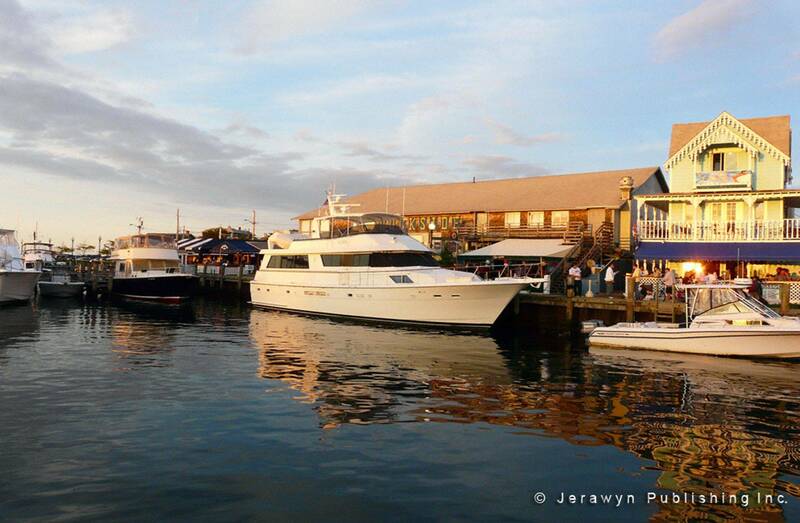 Oak Bluffs Harbor is a popular stop with local fisherman, recreational boaters and families who are looking to be in the heart of the summer action. Restaurants, shops, movie theaters, parks and the beach all just steps from your private finger pier. 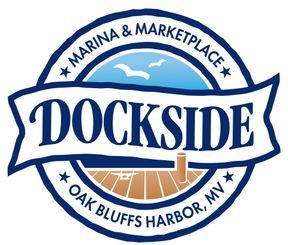 At Dockside Marina, we offer a full range of guest services. Our knowledgeable staff is here to help you get comfortable! Max Length: 70 ft. Max Beam: 18 ft.
Bathhouse: Public heads onsite. Showers in Harbor's southwest corner - shared with municipal marina. Call Eddy 413-537-6170 or email jpm@mvdockside.com for questions. Complete the reservation request form (link upper right). All lengths are measured in actual linear footage. This includes pulpits, swim platforms, dinghies, and tenders. Any length accepted, 30 ft. min. charge, max 70 ft.
Credit card required for deposit. We authorize the credit card for the full amount of stay upon reservation. However we then require cash upon check-in. Guests of seven days or more may be required to make payment on their outstanding balance sometime during their stay. Reservations are non-refundable under any circumstance including acts of God. You book the slip you own it. If you cannot make your reservation for any reason, we will in good faith attempt to rebook on your behalf. If successful for the same length of stay and size of boat - we are happy to issue you credit for future dockage at the Marina. No refunds on early departures or late arrivals or cancellations. Check-out on the day of your departure should be no later than 11:00 am. 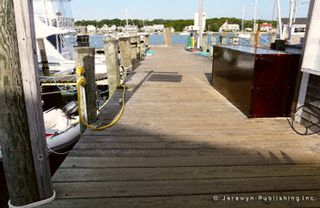 On the east side of calm, sheltered, but hyper-busy, boat-filled Oak Bluffs Harbor, the marina's finger pier lies jutts out from the concrete Boardwalk, known as The Strip. 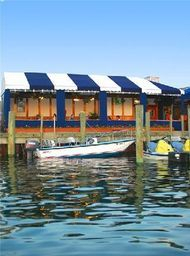 Dockside Market Place's 15 shops and restaurants share the upland with more eateries, ferry docks, verandas, beachy bars, live music and in a festive atmosphere. Large Victorian-era houses overlook the south shore. For two months, Oak Bluffs is the brash, fun, effervescent adolescent of the three harbor towns. In September it quietly returns to its roots. Seek refuge in the 34-acre Wesleyan Grove (aka M.V. Camp Meeting Assoc. ), where Methodist Summer Camp meetings have taken place since 1835. Accessed through the Circuit Avenue Arcade, over 300 brightly painted, small Carpenter Gothic Victorian ginger-bread cottages ring the open-air 1879 Trinity Park Tabernacle - the site of summer evening concerts. The Flying Horses Carousel has been operating since 1876. Bicycle rentals abound; about 15 bus routes intersect with bike paths making the whole island accessible. Oak Bluffs is also served by five ferry companies: Hy-Line to Hyannis/Nantucket, Island Queen to Falmouth, New England to New Bedford, Steamship Authority to Woods Hole, Vineyard Fast Ferry to Quonset Point, RI - very convenient for crew changes. From the Atlantic make for Nantucket Sound and then Oak Bluffs Harbor. Dockside Market Place & Marina is on the east side of the harbour. Tide: 3 ft. Current: 1 kt. Oak Bluffs Town Marina is now offering a self-service holding tank pump out facility. This is on a floating dock that can accommodate vessels 40ft and under and is located next to the Harbormaster's office near the entrance to the Harbor. There is a 15 min. maximum stay on this dock. The Town Marina will also be operating its pump out boat for larger vessels. You must call the Marina office on Ch. 71 or 508-693-7402 to schedule a pump out either way. Island bylaws prohibit the discharge of "gray water" - defined as waste water from sinks, showers, dishwashers, washing machines, and galleys. Because the Marina consists of all a wooden dock, the state fire marshal prohibits any open flames on board vessels or the wooden docks. This includes propane, charcoal briquettes, and electric grills. Swimming is prohibited in the Harbor for safety reasons. You'll find beautiful swimming beaches located a short walk from the Dockside Marina.